Happy November, everybody! Christmas is fast approaching...are you ready? 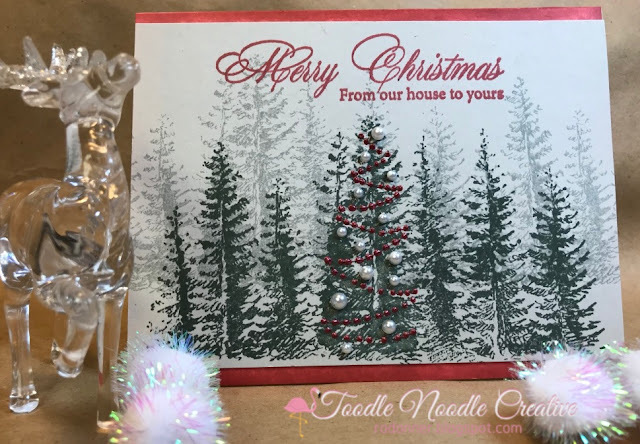 I have a start on my holiday cards and, with the brand new stamps being released from Technique Junkies today, I just added a few more! And I am happy to share them with you! We are not doing a typical hop this month. So you will definitely want to check out the TJ Blog for links to all the wonderful projects being shared by the Design Team! All the newly released stamps are 15% OFF until November 8th. You don't need a code, the discount will automatically be applied at checkout. PLUS...you can receive an ADDITIONAL 10% OFF (even the new releases, for a 25% SAVINGS) by entering the code "TJ10Ro" when you check out. Now that's some awesome savings!! 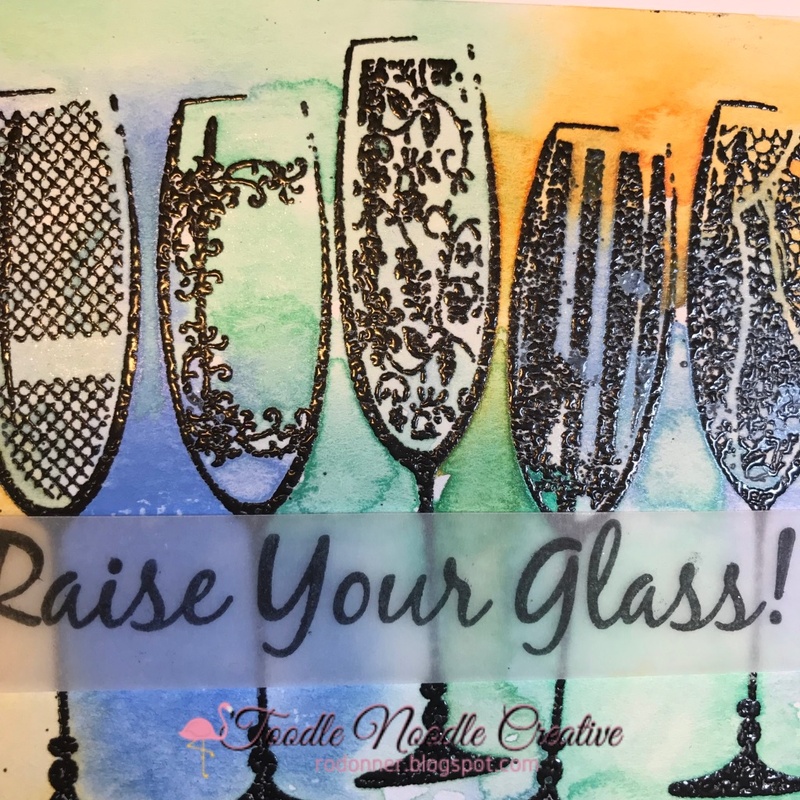 So let's jump into the cards I have for you today! This first card features a very non-traditional color for Christmas/Winter...PINK! Everything Else* plus Little Things from Lucy's Cards (embellishment). 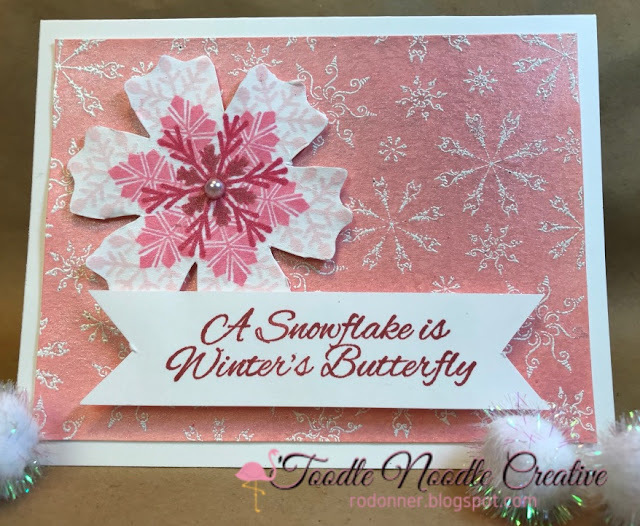 I stamped and embossed the Delicate Snowflakes background, then sprayed with Festive Flamingo. The panel was trimmed down and mounted to an A2 card base. 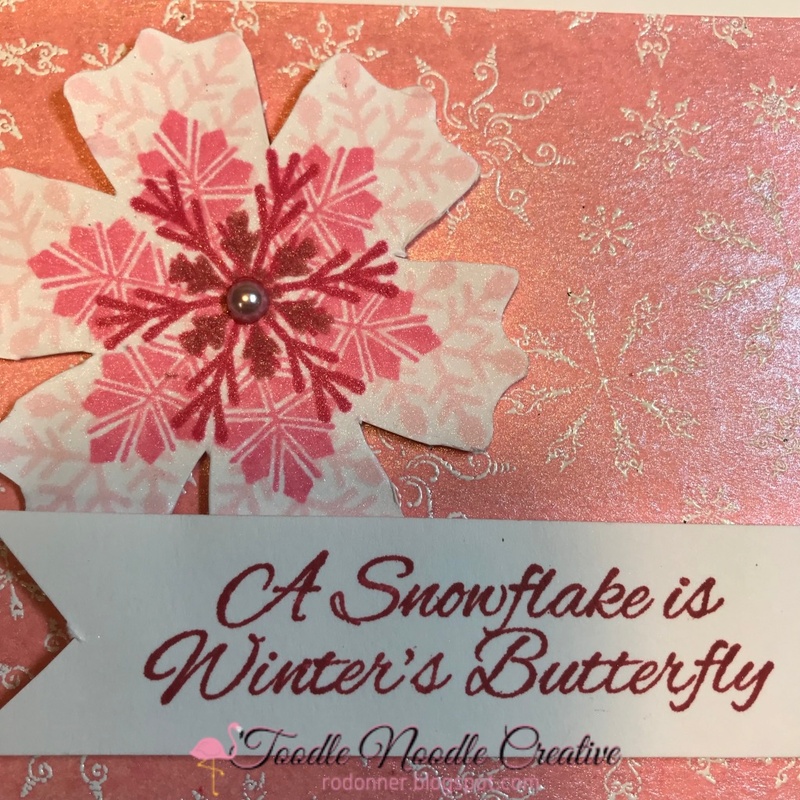 For the snowflake, I stamped each layer with a different snowflake and ink color, starting the with largest flake and lightest ink, and worked my way smaller and darker. A pearl was added to the center, then it was mounted with foam adhesive. The banner was stamped and trimmed down, then mounted with foam adhesive. This next card was not nearly as difficult as it looks. 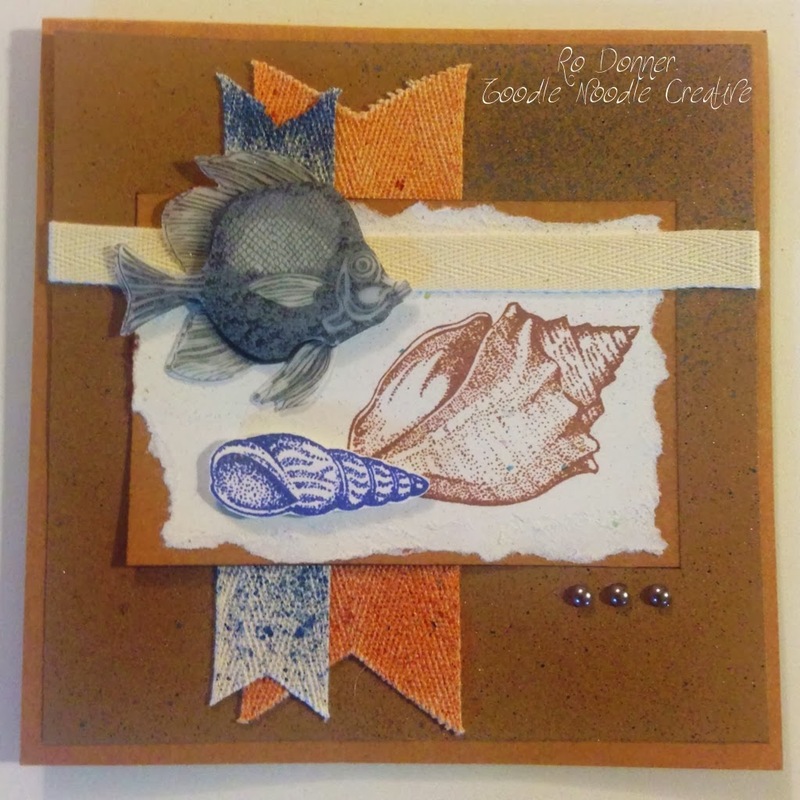 I began with a piece of gray CS and stamped the background trees with London Fog (twice, overlapping edge of CS). the front row of tress was stamped with Norther Pine. 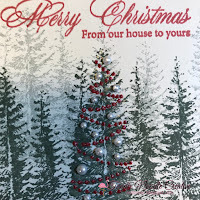 I added Nuvo Crystal Drops and Little Things to embellish the center tree, and highlighted it with Wink of Stella. The sentiment was stamped in Rhubarb Stalk. The panel was then trimmed down. I inked the top and bottom portion of the card base with Rhubarb Stalk so I would have a perfect match, then added the decorated panel. 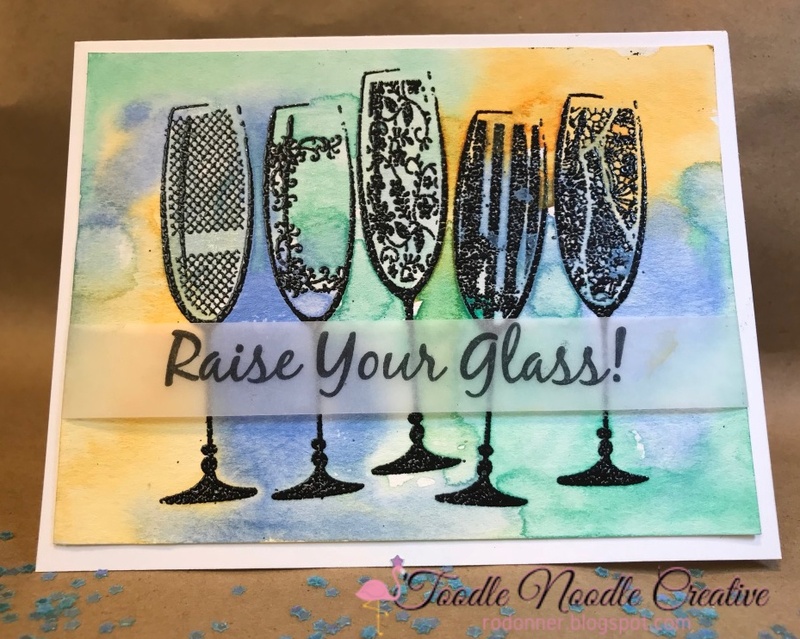 The third card has some really fun colors and would be perfect for many different occasions, such as New Year's, Anniversary, Birthday, Congratulations, Retirement, etc. 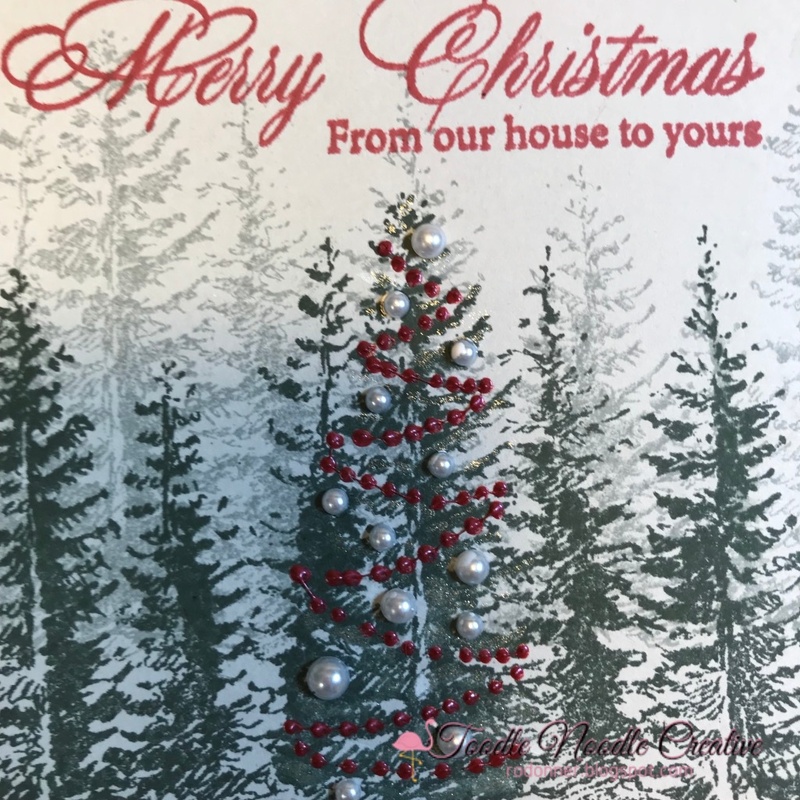 This card was so easy to do! 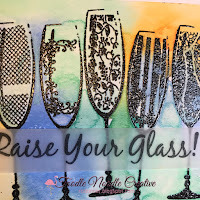 After stamping and embossing the glasses, I did a water wash on a piece of watercolor paper, then dropped in some bright colors and let them naturally mingle together. I added a little shimmer to the glasses with the Glitter Gloss pen. 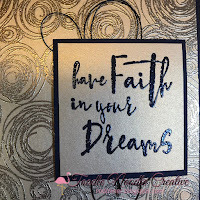 I then stamped the sentiment on a strip of Vellum and wrapped it around the watercolor panel, and taped it on the back (thus no visible glue on the vellum!). The panel was mounted to an A2 card base. 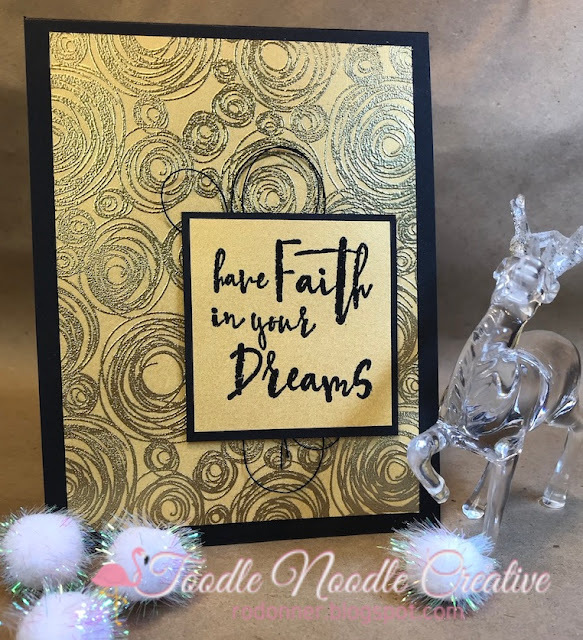 The final card I have to share with you today features a very uplifting sentiment and a stunning background. On a gold piece of CS, I stamped the background and embossed it with gold EP. 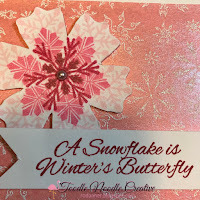 Using the same CS, I stamped and embossed the sentiment with black EP. The piece was then trimmed and matted with black CS. 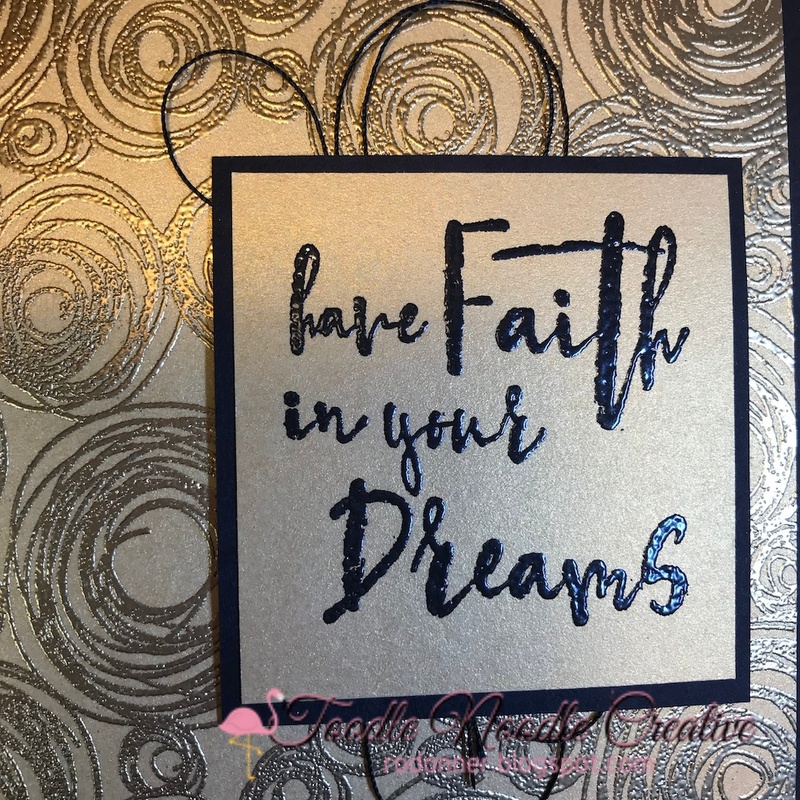 I added some decorative thread behind the sentiment panel and attached it to the gold panel, then attached that to the black A2 card base. I had so much fun doing these cards, and can't wait to get busy on some more. There are a lot of great new stamps being released this month. I hope you found some inspiration and are as excited about this release as I am. And don't forget....you can save up to 25% OFF the new released stamps (and 10% off everything else). 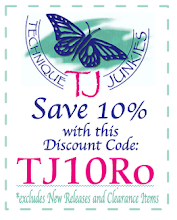 Enter the code TJ10Ro at checkout and enjoy playing with some great new stamps! Easy ordering, fast shipping, great stamps....what more could you ask for!